Home » Non-Stimulant » Aquadrene review: Are Herbal Diuretics Like Aquadrene Worthwhile? Aquadrene is a product marketed to men and women who experience “excess water retention” and “puffiness.” It’s advertised as the perfect product for women who need a quick solution to being able to fit into “special occassion” dresses and bathing suits. If that weren’t enough, Aquadrene is also alleged to be a great product to “jump start” a weight loss program. Aquadrene is what’s called a diuretic. It contains herbal ingredients that help prevent the body from retaining water and to expel excess water. 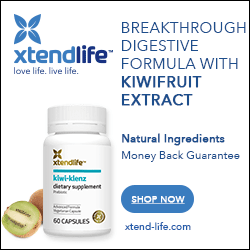 In this formula, the most potent diuretic is “Taraxacum” (also known as dandelion leaf), which also has a slight laxative effect (this product also contains dandelion root — a full review can be found here!). In addition, Aqadrene contains Uva ursi. Data is conflicting on whether it is an effective diuretic. However, when in used in combination with taraxacum (as it is here), it has been shown to be effective for reducing urinary tract infections in women. Parsley: An aquaretic, which increases urine volume and water loss. More importantly, it does so without depleting critical electrolytes. Buchu: There’s not a whole lot of real evidence backing bachu’s effects, but generally, it also is used as a urinary tract disinfectant. Cranberry: used for prevention and treatment of urinary tract infections. … plus magnesium, potassium, and vitamin B6. 1. Eliminate simple carbs (breads, sweets, buns, etc) from your diet. This can have a powerful diruetic effect — eliminating up to 10 lbs of water weight in a week. 2. Drink more water: Seriously — your body is more likely to retain water if it does not receive an adequate supply. 8 – 10 oz glasses will fulfill your requirements for the day. 3. Cut back on sodium. You’d be surprised to find out how much sodium is hidden in many prepared/packaged and restaurant foods. High sodium intake encourages water retention. Try these cheaper alternatives before trying Aquadrene. If at this point you still feel you’d like to try this product, be my guest. Dandelion extract has a solid history as a diuretic, but I have not tried this or a similar product, so I can’t comment on the sort of results you’ll receive. The weight you lose on this product is only water weight. You will not actually have a lower bodyfat percentage, even though your clothes may fit slightly better. This blog article on the importance of tracking your bodyfat percentage will help you assess your success on any weight loss product or program! Aquadrene is the only solution I found worked to help shed water weight gain from prescription medications. After onths and months of efforts post-treatment through diet, exercise, supplements – everything – did not help me break through. A few pounds maybe but before the medical issues I was athletic, healthy, working out all the time and loved fruits over sweets. So I knew my body. Aquadrene is the best product for this issue. I learned about it through a patient blog. I don’t recommend it for the casual dieter but for weight gain from stubborn water retention due to some prescription medications it is a Very Effective product!